Last year, 66% of consumers made purchases in response to promotional e-mails. Landing in your customers’ inboxes is only the first step, though– in the same year, an estimated 838 billion marketing e-mails were sent, and only about 20% were even opened. In the face of such fierce competition, the services of a professional marketing firm make the difference. Alecan Marketing Solutions knows all the secrets to writing clever, engaging subject lines that get your company’s promotional e-mails opened and clean, brand-focused design that gets the links inside clicked. Alecan’s team also includes experts in the growing field of mobile-optimized advertising. Despite 48% of consumers reporting that most or all of their e-mails are read on their smart phones and tablets, a whopping 89% of companies still aren’t optimizing their e-mails for viewing on mobile devices. Our marketing professionals were pioneers in this field, and the combined expertise in design, copywriting, and development under our roof ensure the greatest return on your business’s e-mail campaigns. We get to know your customers and their patterns by asking for the right information in the right ways, and use that information to predict and plan the best approach to winning their business. We write the e-mails they want to read with eye-catching subject lines that get clicked! Whether or not links in your promotional e-mails get clicked or even read is decided in a matter of seconds, and clear, hard-hitting messaging sup[porting specific objectives makes the difference between you leading a successful campaign or just wasting your time. Your company e-mails must accommodate the overwhelming number of shoppers now primarily using mobile devices to access and read promotional e-mails. 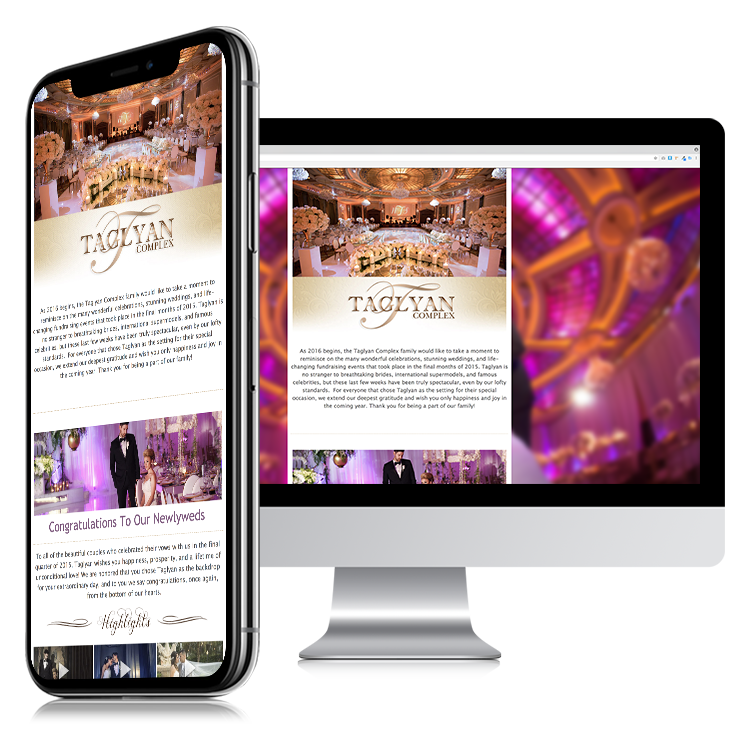 Alecan treats each message like a mini mobile website and tests it for aesthetics, functionality, and responsive design for optimal viewing on your smartphone or tablet. Alecan Marketing Solutions knows how to set you apart from the millions of e-mail marketing messages consumers receive every year. Vibrant images, clever taglines, and memorable messaging all work together to make your customers feel excited about seeing another special promotion from your company pop up in their busy inbox. The time of year, month, week, and even day that your customers receive e-mails about your brand is shockingly significant to your campaign’s success. Knowing which numbers to crunch and determine which e-mails should go to specific demographics at particular times gets you the best return on your marketing budget and creates a pleasant association in the mind of the consumer. Your company e-mails and newsletters are a valuable resource that can attract visitors and help you rank higher in search engines. We use an integrated mail distribution and web platform that stores all back issues of your e-mails online for your customers to find whenever they need them and keep your site ranking for those topics years after the fact. The hard part may be over once a recipient reads and clicks the links in your marketing e-mail, but that’s still only part of the equation. Links that make false promises or don’t provide enough information on the landing pages annoy and alienate the customers you worked so hard to win over! Let us properly write and optimize your marketing e-mails and pages to meet and exceed customer expectations. To ensure maximum ROI on any e-mail marketing campaign, a multi-point data tracking plan providing solid information and interpretation is essential. Statistics like rate of opening, click-through ratios, number of e-mails sent, length of customer’s association with the brand, hard and soft bounces, and many other data points are gathered and combined to make reliable deductions about your mail recipients. Tracking this data and making adjustments leads to the best and most refined customer response and helps your business thrive. Increase Your ROI with Email Marketing? Discover one of the most effective ways to engage with and retain your customers through email marketing and automation. Email marketing harnesses your customers’ engagement and retention by providing them with regular, helpful emails from your company. At Alecan, we help you make the most of your subscribers with an automated email marketing strategy that delivers informative and attractive emails, as well as follow-up emails and relevant updates. With our proven email marketing and automation approach, you will save time as a business owner as the email takes care of the outreach work for you. And don’t be fooled by the name. “Automation” may sound robotic, but in reality it allows company owners to maintain better communication with customers, a higher level of loyalty, and better brand awareness.